Still not the best photo, but clear enough to be used to identify your fish. Note the gray coloration and dark saddles. This is post 3-of-4 that will just link to an article after providing some basic identification tips. 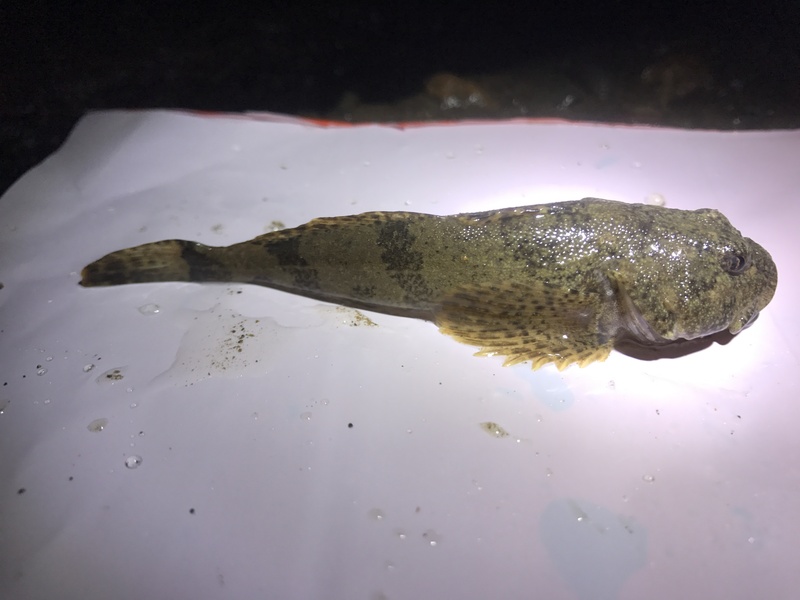 Torrent Sculpin is the easiest sculpin species to identify in the Willamette River Basin. At least, in my opinion. Not only do they behave differently (they’re very skittish and will shy away from light), but they look different from the other two common Willamette sculpins. 1. 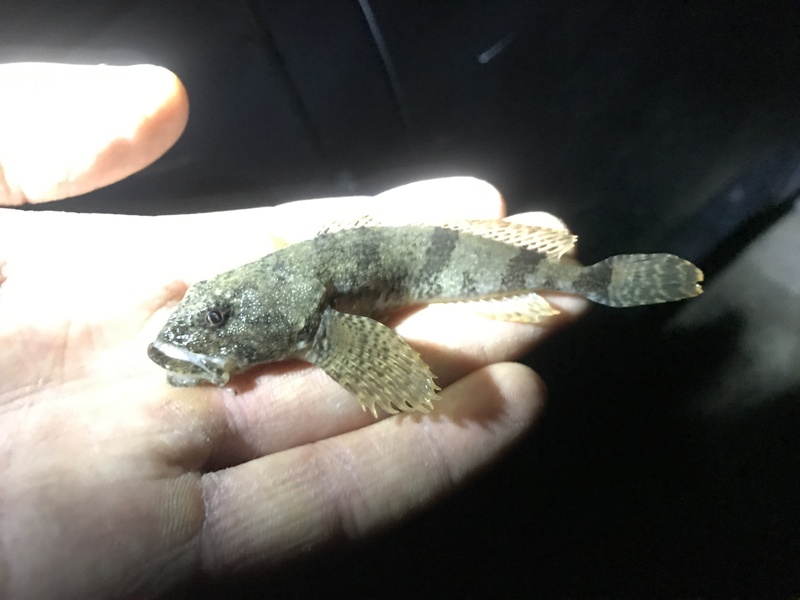 The overall color of every Torrent Sculpin I’ve caught has been gray, whereas all Prickly and Reticulate Sculpin I’ve caught have had a brown base color. Torrents are also more consistently one base color whereas the other two area heavily mottled. 2. Torrents tend to be bigger. Every one I’ve caught has been at least four inches, with the largest almost seven. Now the other species get that big, but I’ve only caught one Reticulate over four inches long. 3. Torrents have three dark saddles beginning at the second dorsal fin. These saddles don’t extend all the way around the fish like they do in some saltwater sculpin species, but Torrents look more like saltwater sculpins than any other freshwater sculpins in Oregon. Note the fairly solid gray coloration and visible saddles? Obvious Torrent Sculpin. Read the story of how my first Torrent bit (not bit torrent, to be clear) by clicking here. Read the next entry in #SpeciesQuest here: Species #117 — Chiselmouth.